Martin Methodist's Nina Mills (20) and MTSU's Caroline Warden (32) both scramble for a ball that MTSU's Olivia Jones (34) looses control of as Martin Methodist's Tori Stephenson (4) comes up from behind during the exhibition game at MTSU on Monday Nov. 9, 2015. 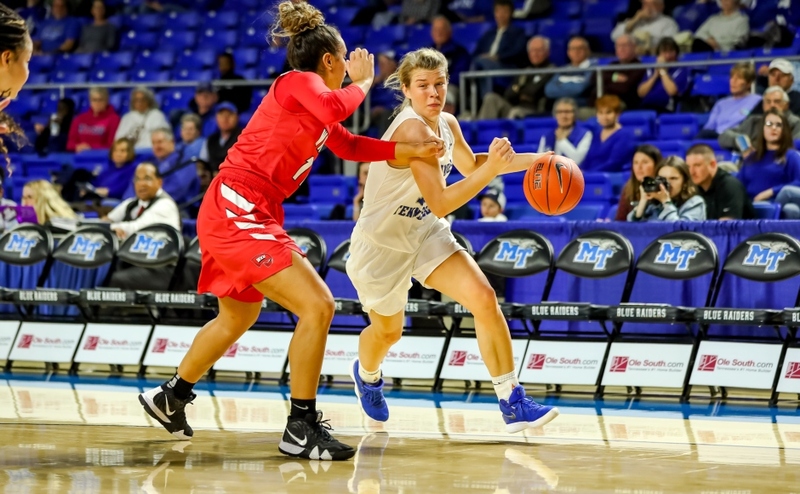 Middle Tennessee started slow in Monday’s final exhibition against Martin Methodist, but they found their groove late in the first half and didn’t let up, cruising to a 85-53 victory. 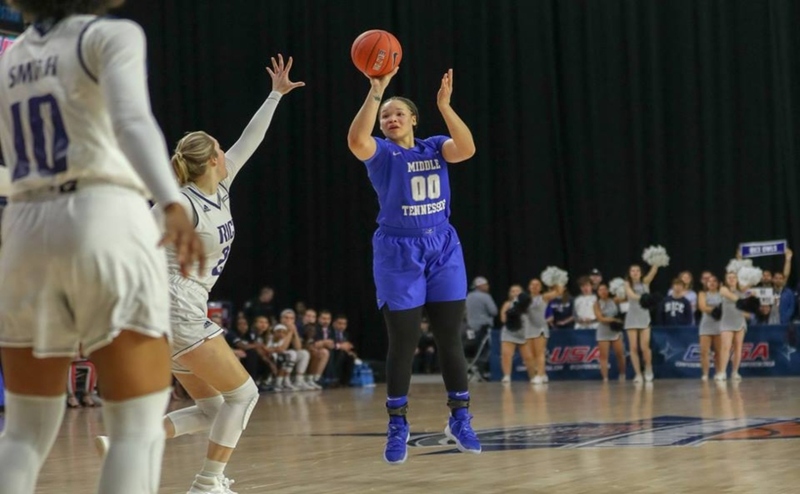 After a dominating performance last Wednesday, the ceiling for Blue Raider women’s basketball was higher than ever. Wednesday’s total team effort against Coastal Carolina gave a true glimpse of what this team can really do. Monday’s game was different for the Blue Raiders, battling back and forth with the Red Hawks in the first quarter. Junior guard Ty Petty secured the lead with a layup as the buzzer sounded at the end of the first quarter. The first half was sloppy for the most part, with turnovers at both ends, and plenty missed opportunities. 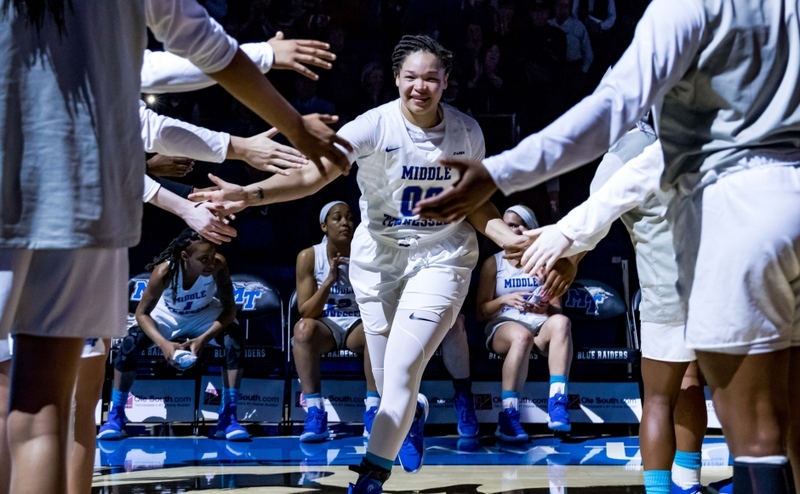 Middle Tennessee finally seemed to find their groove late in the second quarter, with junior Olivia Jones heating up. The Blue Raiders held 40-29 lead at the break. Jones finished with 21 points on 8-18 shooting, but went 4-8 from behind the arc. The junior was pivotal as the second half got underway, scoring points in bunches and sparking the Blue Raider offense. Freshman forward Alex Johnson shined in just her second collegiate game, earning her first career double-double. The former Blackman standout finished with 16 points, and grabbed a game-high 10 boards. Five Blue Raiders scored in double figures in the win. Apart from Johnson and Jones, senior Brea Edwards contributed 13 points, with Petty finishing with 10 points and eight assists. Sophomore Abbey Sissom, a highly talented guard from Cannon County, had one of her better nights as a Blue Raider, finishing with 10 points and five rebounds. Middle Tennessee will use the rest of the mid-week to prepare, as they host Virginia in their home opener on Friday night. 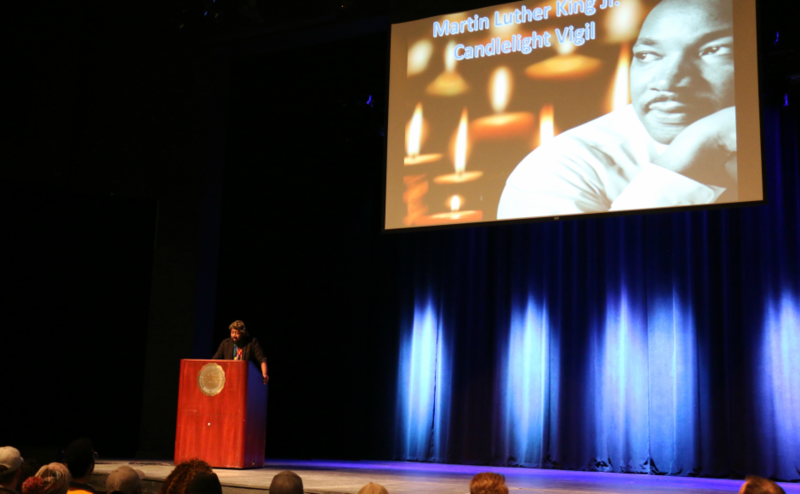 Tipoff is scheduled for 6:30 p.m.
MTSU Intercultural Diversity Affairs Center, Alpha Phi Alpha fraternity holds candlelight vigil to honor Martin Luther King Jr.